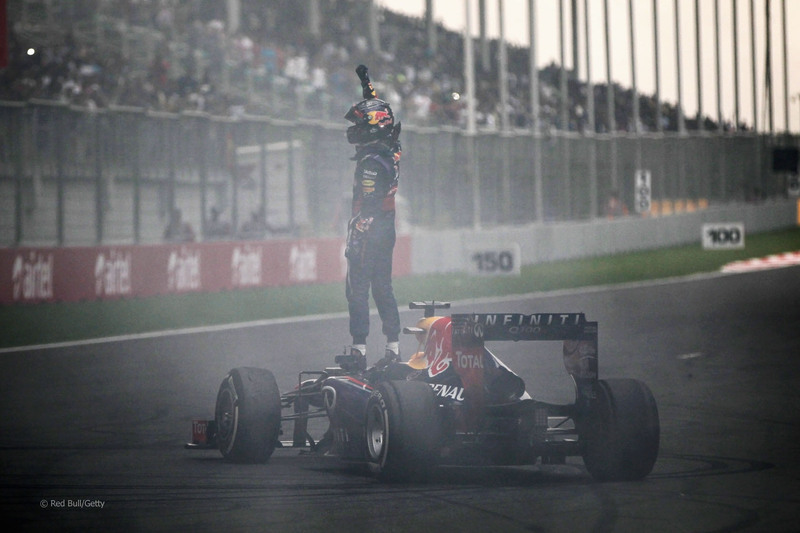 The 2013 Brazilian Grand Prix was the end of an era. 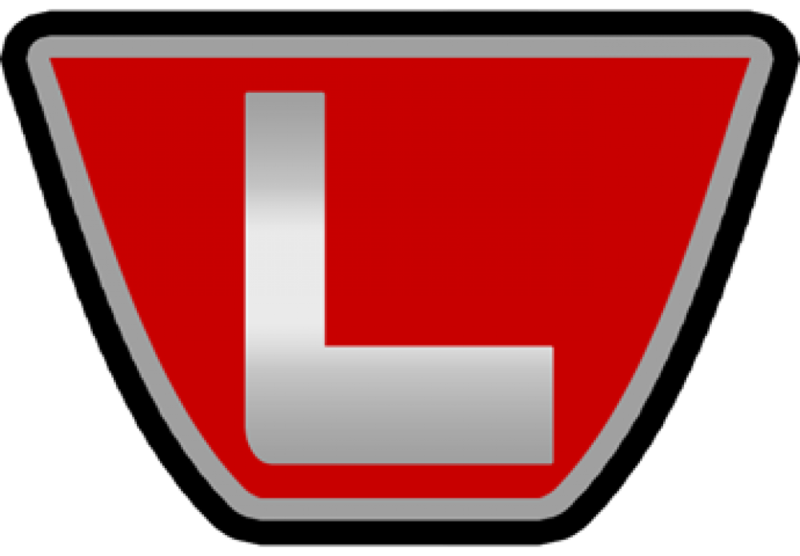 The V8s were going to be running their last race. Mark Webber was to retire after the race to go run sports cars. And Sebastian Vettel was set to break yet another record. And all of that happened. Unfortunately, it wasn’t the storybook ending for Webber as his teammate picked up his 9th straight win. We’ve reached the final race of the 2013 Formula One World Championship and it’s the end of an era. Not only are the old 2.4-litre naturally aspirated V8s on their way out after eight years but so is @AussieGrit Mark Webber after twelve seasons at the top-level of motorsport. Given that it’s Webber’s final Formula One Grand Prix, I thought that it was only fitting that I bumped him up from #2 in the Power Rankings to #1. Coming into this weekend’s race, there were only two races on the current Formula One calendar where victory eluded Sebastian Vettel. One is Hungary and he won’t get a chance to rectify that for another eight months. The other is the United States Grand Prix which he only had two attempts at winning. Well, actually, you can change that to the United States Grand Prix was one of the few races he hadn’t won after absolutely dominating the second running of an F1 Grand Prix in Austin. 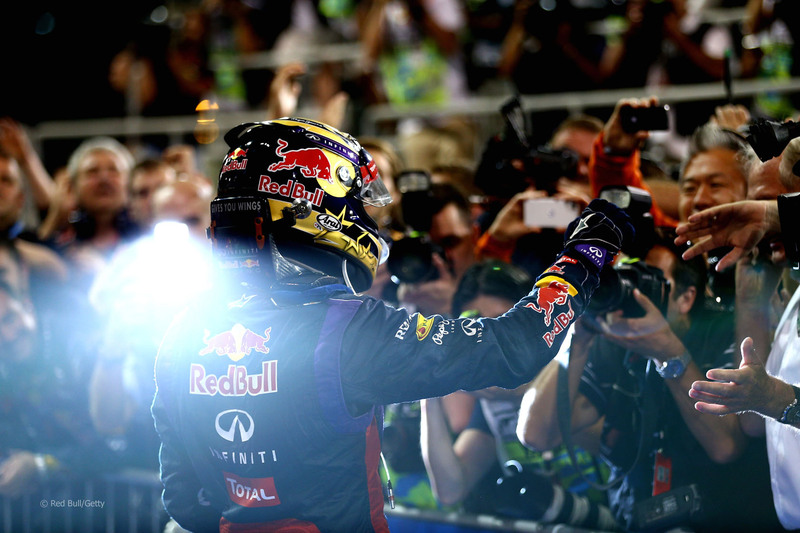 There are just two races left in the season but Sebastian Vettel is still on a mission. He’s never won a race in America. The US Grand Prix and the Hungarian Grand Prix are the only two races currently on the calendar that he hasn’t won. Can he win the second-to-last race of the season and cement himself as the Penultimate Warrior? Find out in this week’s F1 Power Rankings. While it feels like Sebastian Vettel has completely and utterly dominated the 2013 Formula One World Championship, it was comparatively close up until the summer break. At that point, Vettel was 38 points ahead of the competition. Since then, he’s won every single race. That includes Sunday’s running of the Abu Dhabi Grand Prix. Well, the season isn’t over but it may as well be. 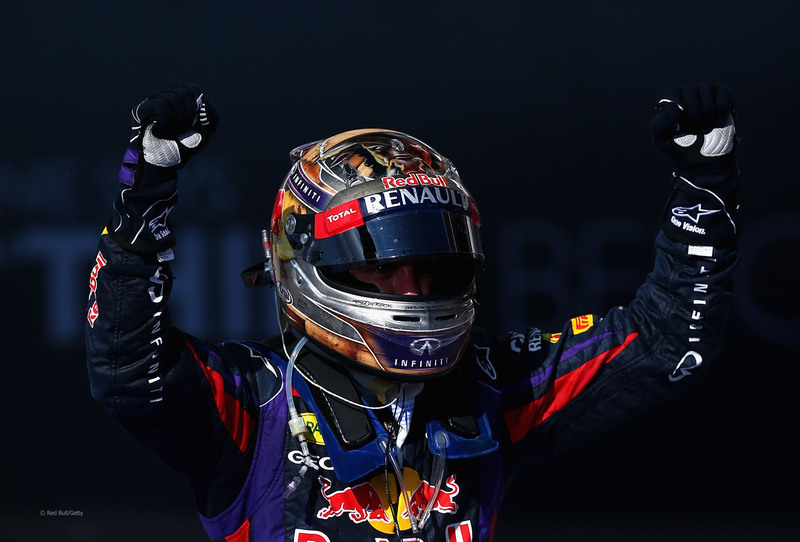 Sebastian Vettel is the World Drivers’ Champion for the fourth consecutive season. 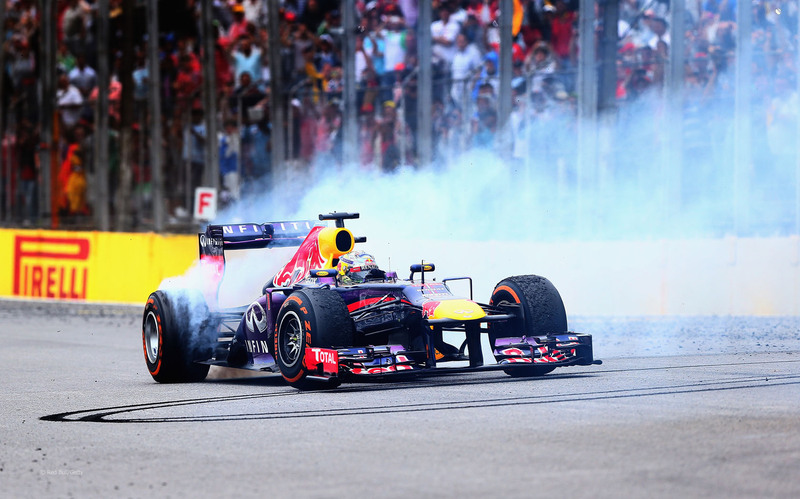 Red Bull is the World Constructors’ Champion for the fourth time. The only thing not settled is who’s going to finish 2nd. So who do I have making a late run? Find out in this week’s Power Rankings. Nobody came into this weekend’s Indian Grand Prix expecting anything other than the end result. I don’t necessarily mean the win for Sebastian Vettel though that wasn’t a surprise. No, I mean that no one was particularly surprised that Vettel was able to easily clinch his fourth consecutive Formula One World Drivers’ Championship with a win and a surprising non-points finish for Fernando Alonso.